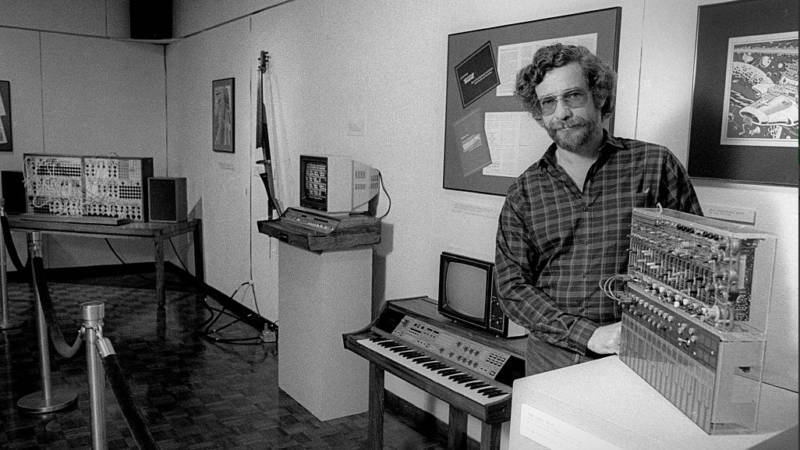 Don Buchla, the electronic musical instrument designer who built one of the first modular synthesizers and whose influence on electronic music is still prevalent today, died Wednesday at the age of 79. As of Friday, the cause of his death is unknown, although he had dealt with health issues since suffering a stroke in 2014. Born in South Gate, Calif. in 1937, Buchla attended UC Berkeley before founding his musical instrument company, Buchla & Associates, in 1962. He was soon commissioned by the influential San Francisco Tape Music Center to build an electronic instrument that could be controlled with voltage for experimental composers Morton Subotnick and Ramon Sender. With an additional $500 grant from the Rockfeller Foundation, Buchla designed and built the Buchla 100 series Modular Electronic Music System, the first-of-its-kind synthesizer combining multiple components that either generated or manipulated sounds. Subotnick would use the instrument to write and record Silver Apples of the Moon, the first electronic music composition to be commissioned by a record company and the composer's most popular work. By 1966, Buchla was selling the Buchla 100 commercially and did so until 1969, when CBS bought the rights to the instrument. CBS quickly dropped production after apparently deciding there was no potential in the synthesizer market. Throughout the '70s, Buchla would design and manufacture several electronic musical instruments, including the 300 and 500 Series, as well as the Music Easel, a small, self-contained analog synthesizer intended for live performance. Housed in a small case, it featured the same patch-style controls of other Buchla synths but included a controller that looked like a keyboard, yet didn't have keys -- Buchla would later state that he thought keyboards on synths were "unnatural." "Two years ago, we decided it was time to stop dreaming about a new electronic instrument and actually create one," Buchla wrote in the introduction of the Music Easel's manual, Programming and Meta-Programming in the Electro-Organism: An Operating Directive for the Music Easel. "We weren't particularly interested in imitating any extant instruments, either functionally or acoustically," he added. "We did want the potential for expressive, real time performer-instrument interaction." Buchla would end up designing a synthesizer that incorporated a more traditional style keyboard called the Touché in the late '70s. In the '80s, Buchla would design software-controlled instruments and several midi controllers. Buchla sold his company to an Australian company, Sound-Music, in 2012. It was renamed Buchla Electronic Music Instruments and moved to Oregon, with Buchla still working with the company. After his stroke in 2014, Buchla was fired, which led to the designer suing the company the following year for wrongful termination. The suit was settled in arbitration earlier this year, according to court records. After news of his death spread online, electronic musicians took to social media to express their condolences. It should be noted that around the same time Buchla was designing the Buchla 100, on the east coast, Theremin builder Robert Moog was designing his Moog modular synthesizer, which could be controlled by a keyboard. Moog, whose brand of synthesizers would become a standard in electronic music, admired Buchla's work, stating that Buchla's designs were for not only for making new sounds "but [for] making textures out of these sounds by specifying when these sounds could change and how regular those changes would be." While the East Coast favored “subtractive” synthesis, where a waveform would be filtered to subtract frequencies from the resulting sound, the more experimental West Coast method was “additive”, using complicated oscillators, waveshaping and frequency modulation (FM). While Moog and Buchla created their instruments concurrently, Moog is more widely known than Buchla, likely due to his synthesizers going into mass production faster than Buchla's, according to Lance Hill, owner of the Vintage Synthesizer Museum in Oakland. "Everyone says that Bob Moog was the godfather of synths, but he and Buchla were building them at the same time," Hill said. "Buchla was equally as influential." Buchla is survived by his wife Anne-Marie Bonnel, his two daughters Erin Buchla and Jeannine Serbanich, and his son Ezra, formerly of the LA avant-punk band Mae Shi. UPDATE: According to the New York Times, Buchla died from complications of cancer.